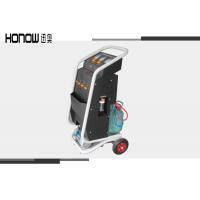 Intelligence refrigerant recovery machine is designed and manufactured in compliance with SAE standard and it could avoid any cross contamination and it is aimed at the assurance of both the refilled refrigerant purity and the accuracy of the refrigerant refilling weight . a . Vacuum : Draw air from A/C system and keep the required vacuum . b . 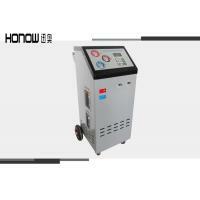 High power compressor,ensure full recovery of refrigerant. 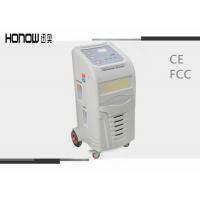 c . High precision electronic scale , ensure accurate refilling of refrigerant . d . Automatic/manual alternative Chinese / English operating system. 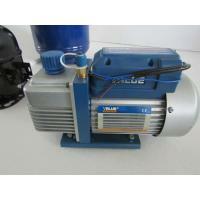 e . Purge filter enhance the effect of recycled refrigerant. 1 ) Recover from tank , connect the HP and LP pipes to this devoce, then connect LP to the tank / Cylinder with r134a refrigerant inside. turn the tank up side down. Set recovery quatity 3 kg. machine with stop when this progress is down. Recycled : Separation of oil and water from , the recovered refrigerant meets the standard of SAE , thus it can be reused for the vehicles air conditioning . j . Leakage detecting : Detect air conditioning pipeline and seal leaks . Check A/C system for leakage . With compressed gas . With leak discovery dye . 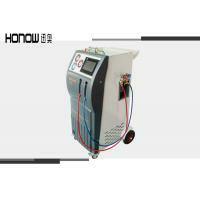 k . Filling : New oil and refrigerant refilling can be easily set up. l . Recovery : Draw refrigerant from A/C system and outer refrigerant cylinder , separate impurity such as compressor oil , dirt , moisture , then store good quality refrigerant into inner cylinder . 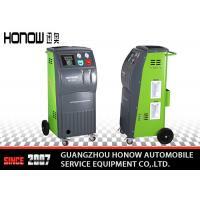 The machine has found wide application in the work site in refrigeration and A/C business , especially the 4S shop of automobile after sales service . Welcome the people in the business circles to make choice and buy extend its application . R134a is a greenhouse gas that can increase global climate change , it has been identified as contributing to global warming . 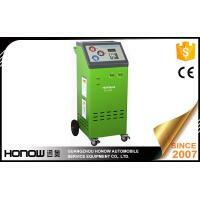 Guangzhou Honow Automobile Service Equipment Co,. Ltd. establish in 2007 years . 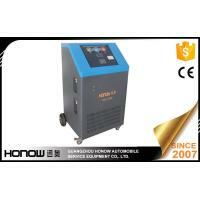 With manuafacturing , sales and technical after-sales service as a whole, engaged in professional products , is a high-tech enterprise specialized in developing and manufacturing garage equipment . We are member of China Auto Maintenance Equipment Industry Association(CAMEIA) . 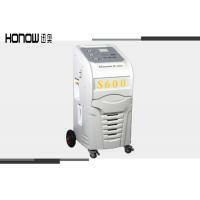 We have a lab in China and our products meets international standard with five registered patents . 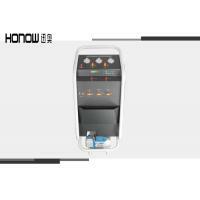 Honow constantly focused on quality, innovation and the market , introduces new technology from home and abroad to keep the products update. Honow has now over ten types of products in five series, all of which enjoy advanced technology and win high reputation & loyalty from customers. 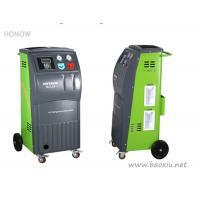 More than 10 years experience in Car AC Work Station make HONOW brand famous in worldwaide.